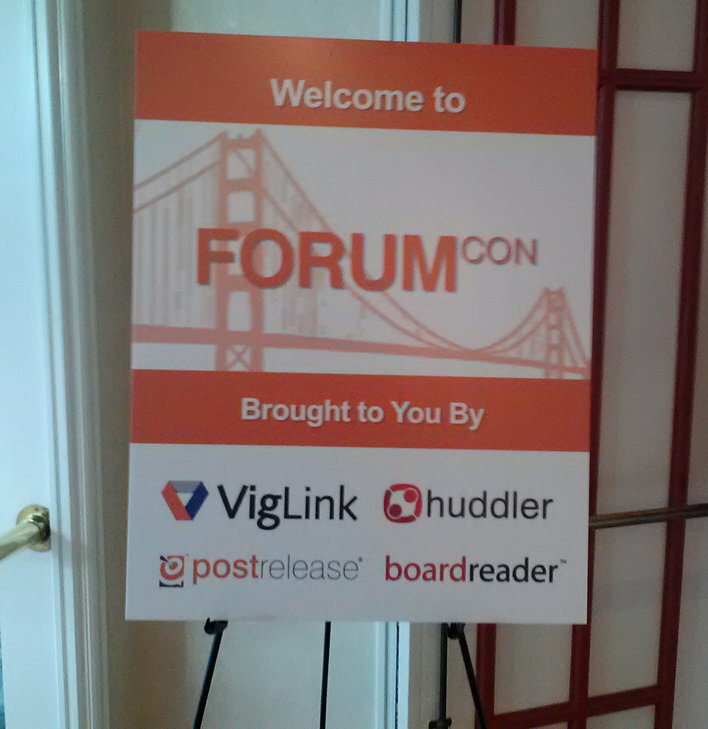 I was recently in San Francisco for ForumCon, the conference for forum owners and operators sponsored by VigLink. 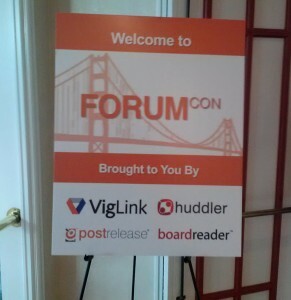 The sessions were interesting and informative and the VigLink folks did a great job with the event. Everybody recognizes the need to go mobile. Joe Rosenblum of Internet Brands said that mobile presents a great growth opportunity for forums. Jerry Orban of VerticalScope, a company that acquires and manages enthusiast communities, said that 30% of their traffic comes from mobile. But noting the fact that mobile advertising is less lucrative than traditional online ads, he worried about “trading desktop dollars for mobile pennies.” So while everyone agreed on the need to go mobile, none of the speakers had a good answer on how to make money doing so. Tyler Tanaka of PostRelease, a company that helps brands deliver marketing messages through forums, said “forums are one of the best places for brands to connect with consumers online.” Dan Gill of Huddler reminded attendees that a happy, healthy community is key to monetization. But monetization can’t come at the expense of the health of the forum. Eoin Matthews of VigLink used the term “revenue crack” to refer to advertising methods that bring in money that’s hard to turn down, but damage the user experience. None of the speakers at the conference expressed any worry about social networks robbing forums of their audience. Dan Gill had an interesting take on this. People in social media often refer to the “social graph,” the set of relationships that people have with each other. Dan differentiated the social graph from something he called the “interest graph.” The social graph is who you like, but the interest graph is what you like. And forums outdo sites like Facebook when it comes to the interest graph. Hey Dave, it was a terrific event and just keeps getting better each year! It’s great to see the forum world getting stronger all the time.